In the beginning of 2014, I was a little length obsessed. No, I was totally length obsessed. Fresh off my big moderate chop, I no longer had the additional length that my heat damaged ends provided. And although I loved my new natural hair, I couldn't wait to grow it out more. So when The Mane Choice put the call out for bloggers to take their 6 month Manetabolism challenge, I took the bait. In retrospect, I realize that I bit off more than I could chew. The parameters of the challenge were simple enough -- upload a comparison/growth picture at the end of every month every 30 days for 6 months. But what happened inside of those 4 months (I didn't continue for the last 2, but more on that later) was symptomatic of me doing entirely too much. Yes, the growth I experienced was awesome, but doing length checks drove me crazy. Having to repeatedly try to capture my hair from the same angles and areas proved to be quite a chore. Even after I caved in and created a length check t-shirt. I became length obsessed -- tugging and pulling at areas of hair to measure on an almost weekly basis, checking for any discernable growth (even though I knew better). I also became overly invested in checking up on other challenge participants' growth, and stacking it against mine (even though I knew better). I prioritized the length of my hair over the health of my hair. Since chopping in December, I had been battling against dry ends. Although normal healthy hair logic dictates that I cut or gradually trim them, I did everything but -- for the sake of retaining length. My refusal to trim ended up making things worse -- my detangling sessions became hellish, the ends were beginning to snap off more, and I really began to dread wash day because my hair was so much more prone to tangles and knotting. I knew the ends needed to go, but I pushed the truth aside in favor of being able to say, "look how much my hair grew!" As I mentioned earlier, I never made it to the 6 month culminating period of the challenge. Not for any intriguing or piquant reasons, though. Honestly, the reason I stopped is actually pretty simple/boring. The Mane Choice stopped sending me vitamins. The real reason? I don't know. Their shipping during my months 3 and 4 got a little patchy due to some backorder issues. I didn't sweat it too much, because I feel like customers paying money should always take precedence over bloggers receiving goods for free.99. Months 5 and 6 never happened. I sent an email (only 1, I didn't bother sending follow up correspondences) inquiring about the rest of my bottles for the duration of the challenge, but I never got a response. I didn't sweat it too much at the time, and looking back at it now, it was a blessing in disguise. This is not an indictment of The Mane Choice or Manetabolism vitamins. While on the challenge, I experienced more growth than typical for my hair. I really do believe the vitamins worked --you can follow all my results here. I just know now that these growth challenges -- whether it be vitamins, castor oil, inversion (are people really still doing that? ), or otherwise -- are not for me. At the end of the day, they had me worried 'bout the wrong thangs. This is not to discourage anyone from purchasing hair growth vitamins, extensively protectively styling, doing castor oil massages, or hanging off the side of your bed (seriously, is anyone still doing the inversion method?). If you are able to strike a balance between growth and overall hair health without compromise, then by all means go for it! But for those of us who can get a little, eh, one-track minded, proceed with caution. Our hair gives us warning signs when we're off track -- some experience breakage, dryness, more tangles, or even thinning. The problems pile on when we ignore those warning signs, in pursuit of longer hair. If your healthy hair journey does not prioritize the health of your hair, then take it from me -- you're on the wrong train. Since ending my growth challenge in late May/early June, I've trimmed my hair three times -- to the tune of about 2.5 inches of dead, cripy, tangly, dry ends gone. My hair is healthier, I'm happier, detangling isn't a chore or nightmare, and my hair even looks a little thicker. I've got a little more left to trim, and I will do so diligently and in due time. Right now, I'm just really focused on being good to my hair. Taking care of it the way I know I should, taking my vitamins and supplements for overall health, and taking my behind to the gym. And no, I haven't touched my length check shirt since. 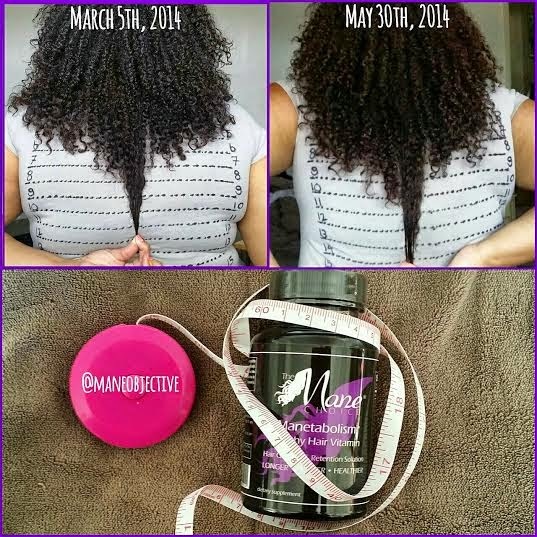 Have you found yourself caught up in the hair growth challenge craze? Did it help or harm your healthy hair goals? No, but i think it is so disapointing when people do Their big chop or a big cut in general, that they start to hide Their hair. 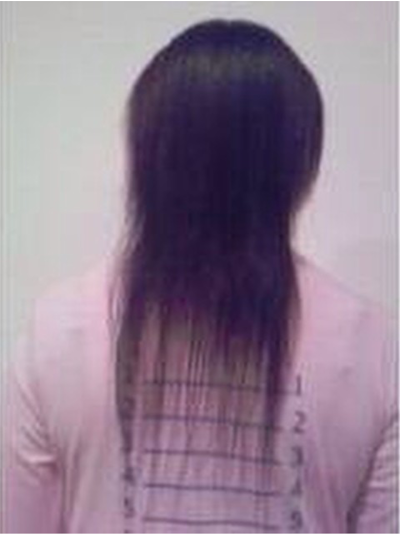 It is like short or medium lengths dont count and they only feel Their hair is good enough to show when it is long. I ve been so disapointed after bloggers doing big chops and instead of showing readers that they still are Proud of the hair and show ways to pimp shorter hair as well, they put on a wig or extentions. I found myself caught up a little bit! Mainly because I wanted to gain as much length as I could before it was time for me to trim so it wouldn't seem like I cut off a lot. Now that I have cut it, I want to chop off a whole lot more because now I'm over the length, lol! Same here, but I might cut a good amount off next year.